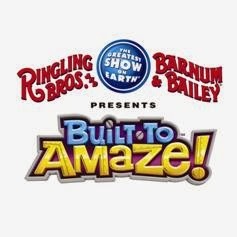 Feld Entertainment, producers of Ringling Bros. and Barnum & Bailey® Presents Built To Amaze!, today announced a call-to-action to Chicago-area fans to support the groundbreaking work of Windy City Habitat for Humanity in Chicago’s storied West Pullman community. For every $10 donated to Windy City Habitat for Humanity throughout the month of November, via a special on-line Ringling Bros. and Barnum & Bailey donation page (www.windycityhabitat.org/circus.html), Feld Entertainment will provide one free weekday ticket to a Chicago-area performance of Ringling Bros. and Barnum & Bailey Presents Built To Amaze!, up to total collected donations of $10,000. Donations will help support Habitat for Humanity’s first-ever entire block build within the City of Chicago, located on S. Union Ave., between 119th and 120th streets. Upon completion, Windy City Habitat’s West Pullman redevelopment initiative will result in 16 new single-family homes, providing safe, decent and affordable housing for families in need. “Windy City Habitat for Humanity is building so much more than homes in West Pullman,” said Juliette Feld, of Feld Entertainment, in announcing the donation incentive at a community-wide block build party earlier today. They’re building hope, dignity within the community, and a place for deserving families to build memories that will last a lifetime. Windy City Habitat for Humanity, a non-profit organization seeking to eliminate poverty housing and improve neighborhoods in Chicago, invites people of all backgrounds to build homes together in partnership with families in need. Having built 90 homes in various Chicago neighborhoods, the stretch of S. Union Ave. between 119th and 120th in West Pullman represents the first time Habitat for Humanity has engaged in building an entire block of homes within the City of Chicago. For additional information, visit www.windycityhabitat.org. Ringling Bros. and Barnum & Bailey Presents Built To Amaze! is currently appearing at the Allstate Arena in Rosemont, Ill., with performances through Nov. 11, then moves to Chicago’s United Center, Nov. 20 - Dec. 1. For additional information or tickets, visit www.Ringling.com. About Feld Entertainment: Feld Entertainment is the worldwide leader in producing and presenting live touring family entertainment experiences that lift the human spirit and create indelible memories, with 30 million people in attendance at its shows each year. Feld Entertainment’s productions have appeared in more than 70 countries on six continents and include Ringling Bros. and Barnum & Bailey®, Monster Jam®, Monster Energy Supercross, Nuclear Cowboyz®, Arenacross, IHRA Drag Racing, Disney On Ice and Disney Live!